We don’t offer your typical Lake Conroe boat rentals at Waterpoint Marina – we offer so much more! Our large vessels provide a fun and relaxing environment for a variety of special occasions. Whether you prefer the classy experience of a yacht charter or a lively adventure on a party barge excursion, it’s an amazing way to relax and explore the lake. We have two vessels open year round for corporate parties and team building events, birthday parties, dinner cruises, Weddings, sunset cruises, casino nights, and more. 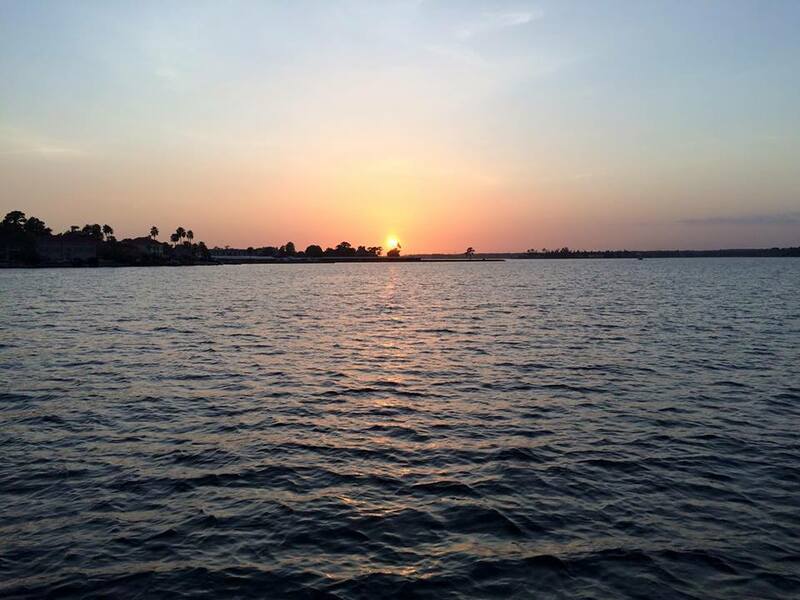 Houseboat Living provides a calm, peaceful escape people looking to live in a way that will let you experience all the great amenities of Waterpoint as well as Lake Conroe. It’s like a floating condo literally “on the water”. 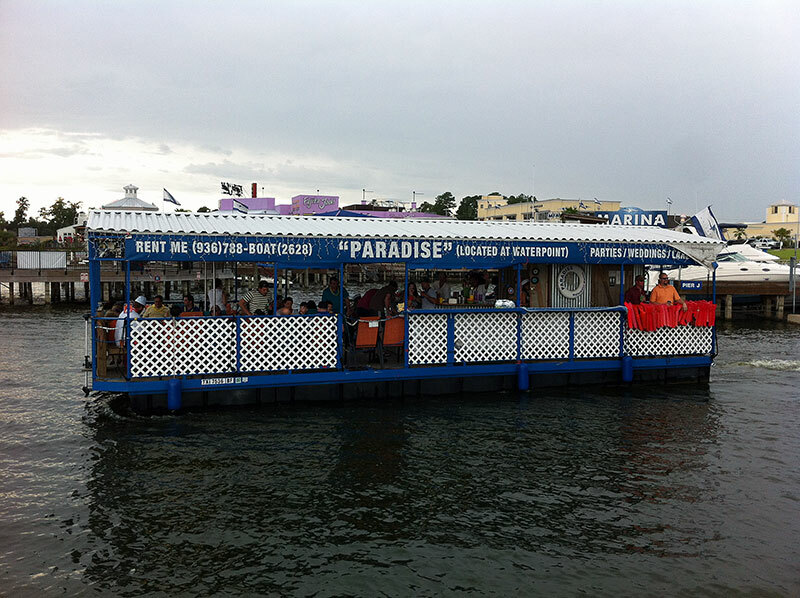 “Paradise” is a single-deck 42-foot long “shaded/open air” vessel that can hold up to 35 guests. Join the Liveliest Scene on Lake Conroe! Who doesn’t love a party on the lake? Book a party barge excursion for your next special occasion for an event that you and your guests will never forget. Let your stress and worries fade away and have a good time cruising around the lake with fun and entertainment right on board! It’s a great way to relax and explore the lake. “Little Palm” is a double-deck 80-foot long yacht that can hold up to 80 people. Cruise in Ultimate Style and Comfort on a Yacht Charter at Waterpoint Marina. 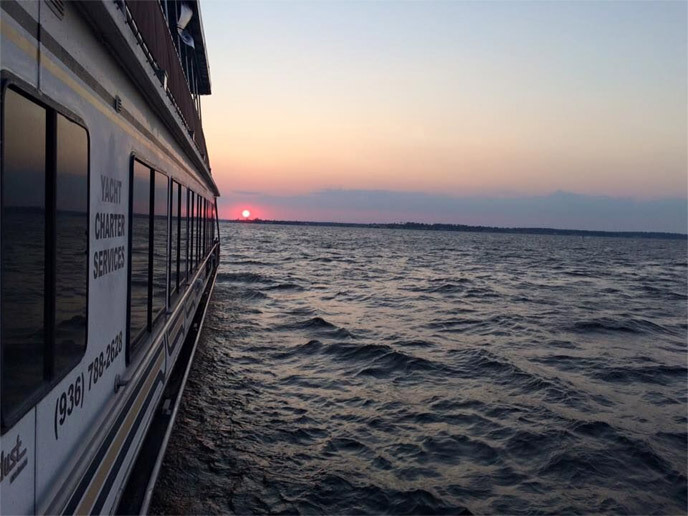 Impress your guests with a full-scale formal event on Lake Conroe, a perfect escape from the everyday life to relax a little and have some fun. “Little Palm” offers a classy, romantic atmosphere. Enjoy the great outdoors with all the luxury of an indoor setting. 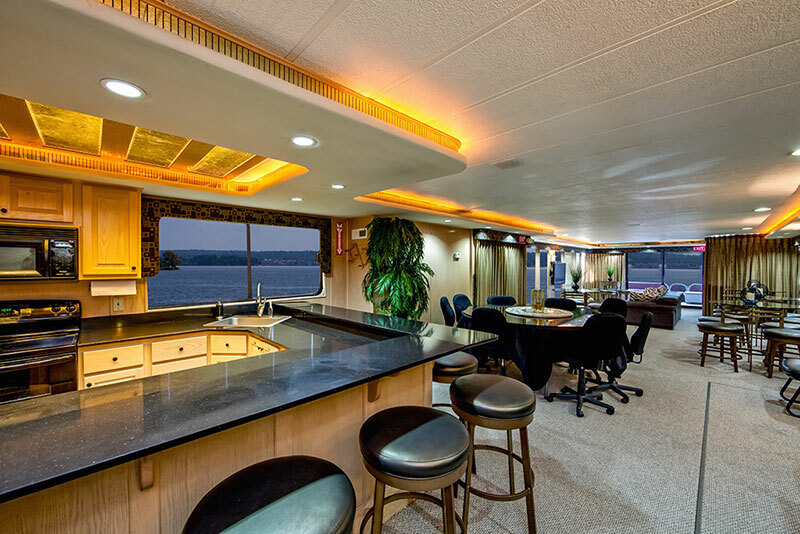 Treat your guests to fine-dining, accompanied by a full-service bar right on board the yacht! Move the party upstairs to take in some fresh air and the serenity of a night out on the lake. Contact us for more information and make your boat rental reservation. While we don’t require you to book way in advance, it’s best to secure your reservation as soon as you know the date you want to be sure that it is available.